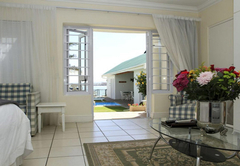 Gordon's Beach Lodge is a 4 star graded B&B offering Gordons Bay accommodation in 6 guest rooms. 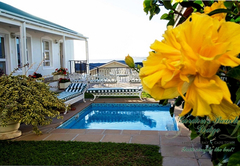 Gordon’s Beach Lodge is a family run guesthouse. Wammy and Louise, along with their dedicated staff, strive to offer highly personalised and professional service. The family ensure each guest is made to feel right at home but with all the luxuries of staying as a guest. 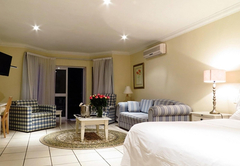 The Lodge has all the style, luxury and conveniences expected by the modern traveller. 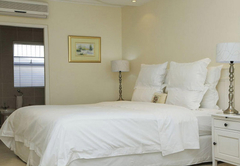 The bedrooms are airy and spacious all with king beds which can be twinned on request. 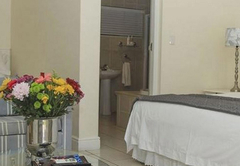 Each room offers a fully stocked mini bar with various exciting delights, and a choice of good South African wines. 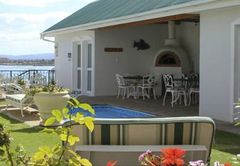 Air-conditioning is essential in the heat of the South African summer, and we have provided only the best. The rooms offer a well lit dressing table for the ladies. Each room has two large comfortable chairs to relax in. Complimentary tea and coffee making facilities are available, along with homemade “rusks” for when you are feeling a bit peckish. 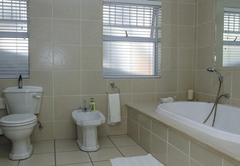 Our large bathrooms have walk-in showers, two-seater baths, bidets as well as stunning products for your luxury. Each room provides a hairdryer and safe. We have a laundry service. We have a variety of TV channels for the lazy afternoons after a long day at the beach. 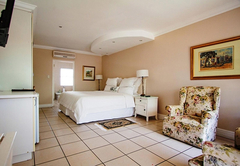 We offer the perfect holiday setting with 6 beautifully and individually designed bedrooms. 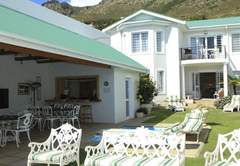 The pool and entertainment area, as well as a fully equipped honesty bar, are to use at the guest’s leisure. Spend the evening drinking cocktails and lazing on the grass or a deck chair alongside the spa pool. 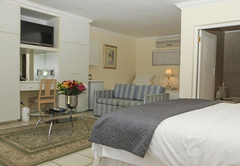 Gordon’s Beach Lodge is situated in the heart of Gordon’s Bay, one of South Africa’s leading travel destinations. 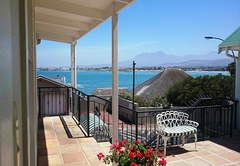 Gordon’s Bay is a small, picturesque seaside village in the corner of False Bay nestled between the aqua blue ocean of False Bay and the stunning Helderberg and Hottentots Holland Mountains. 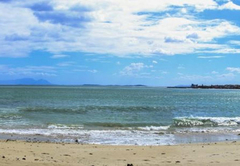 The white sandy beach known as Bikini Beach is well known for its safe and protected swimming. The beachfront is lined with restaurants, coffee shops, pubs, bookstores and curio shops. In the new harbour, one can reserve boat trips or deep sea fishing charters. 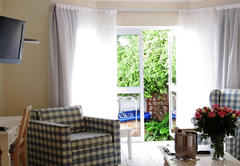 Being only 40 minutes away from Cape Town, we offer the ideal stopover to or from the Garden Route, and the last retreat before you hit the buzzing Mother City. The world famous Stellenbosch wine route is only 20 minutes drive away which follows onto Franschhoek. 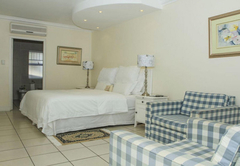 Golf courses such as Erinvale and Arabella are also close by. 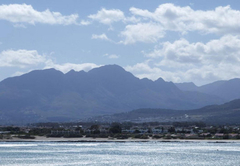 A stone’s throw away from the beach you need not have a car during your visit to Gordon’s Bay. There is a perfect swimming beach not even 80 paces from your doorstep. 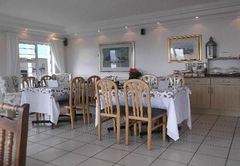 All the best restaurants in Gordon’s Bay are also within a short walk. 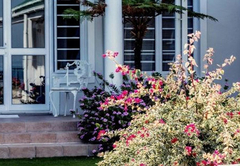 We can't stop talking about our lovely stay at this elegant B&B. You made us feel so welcome and at home. Thank you for the champagne and chocolates on my birthday - it made the day extra special. Louise, Wammie (most probably got the spelling wrong) and Ilana you were the perfect hosts. We can say hand on heart it was one of the best holidays we've ever had. Wishing you all the best for 2013 and hope to return soon. We had an amazing time - it's most definitely a "home away from home". The family are stunning, friendly people who go out of their way for you! 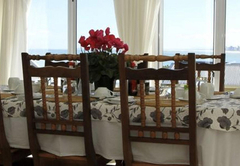 The room was absolutely beautiful and clean - the breakfasts were absolutely delicious and all in all we think Gordon's Beach Lodge should be rated a "5 star" venue! We have recommended it to all our friends and family. Response timeGordon's Beach Lodge typically responds to requests in 5-10 minutes.